Dr. Jonathan Lee is a board-certified hand surgeon who specializes in surgery of the hand and reconstructive surgery. He is also an aesthetic doctor who focuses on Aesthetic and Rejuvenative Medicine for the face, skin, and body. His treatments programs are customised to the individual needs and usually includes a range of non-invasive procedures to optimise maximize results while keeping downtime to a minimum. Excellent, meticulous, humble and amiable. Dr Lee is a dime a dozen. Fully recommended. "Happy with my fresh natural look after botox and fillers"
I'm very happy with the result. I look fresh and younger without looking overdone! "Excellent pico laser treatment from Dr Lee"
Dr Lee was very consultative, and thorough. The pace of the sessions was comfortable and not rushed. The last IPL session I had done with Dr Lee yielded excellent results, and I'm sure the laser session today would be just as good. "Smooth treatment - would refer others to see Dr Lee again"
Great experience: the details both the dr and the clinic provided were through and thoughtful. I'm happy with the recommendation and now will see the result. Since the visit was referred by friend, I think it must be worth and probably will refer others too. "Dr. Lee is careful and meticulous in his work"
Not the review you're looking for? Browse other reviews tagged Aesthetic Medicine Hand Surgery or ask your own question now FOR FREE. Carpal tunnel syndrome is a common wrist condition that affects daily functioning, writing, typing, and movement. Endoscopic carpal tunnel release surgery can help patients regain mobility and relieve pain in their wrist. 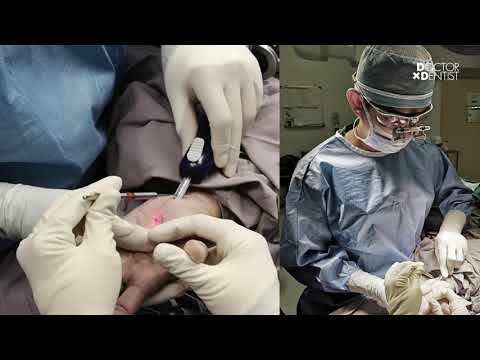 Watch this video to learn about common symptoms of carpal tunnel syndrome, how endoscopic carpal tunnel release surgery is performed in Singapore, and what the recovery process and duration after surgery are like. Not the question you're looking for? Browse other questions tagged Aesthetic Medicine Hand Surgery or ask your own question now FOR FREE. What should I do next if my wrist has not recovered completely after a fall? Do I have trigger finger or just stiff joints? Will my numbness go away after ulnar nerve transposition surgery? What is the best method for hair removal in Singapore? What is the best treatment method for sagging facial skin?